Mad Max: Fury Road heralds the return of the Mad Max franchise thirty years after the third film was released. While the Mad Max world is still set in a post-apocalypse Australia, there is a new Max (Tom Hardy replacing Mel Gibson) and a new filming country (Namibia). 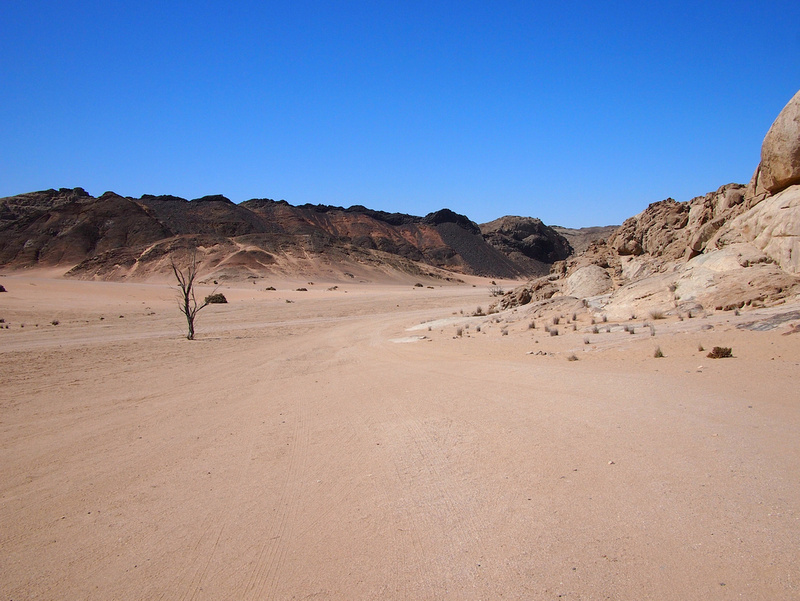 Fury Road was filmed in the Namib Desert near Swakopmund, Namibia. It was originally going to be shot near Broken Hill in Australia until heavy rains turned the usually-barren landscape into a carpet of grass and desert flowers. Excellent news for farmers, but hardly a backdrop you would want for filming scenes of a dystopian future. What was Australia’s loss became Namibia’s gain. As a child of the eighties in Australia I had watched the first three Mad Max films several times over. I also feel an affinity for the films as the original Mad Max was filmed in and around my home city of Melbourne, and Mad Max 2 (Road Warrior) was filmed in Western NSW, not far from where I grew up. When I initially read that a new Mad Max was being filmed outside Australia I was sceptical, but having since visited the Namib Desert and watched the movie I can say that Namibia does an outstanding job as a stand-in for the Australian outback. If you haven’t already seen the movie here is the preview. And for those who haven’t seen the first three (probably most people born after 1985) you can still watch the new movie without missing a beat, but you may be inspired to watch Mad Max, Mad Max 2 (Road Warrior), and Mad Max 3 (Beyond Thunderdome) after seeing Fury Road. 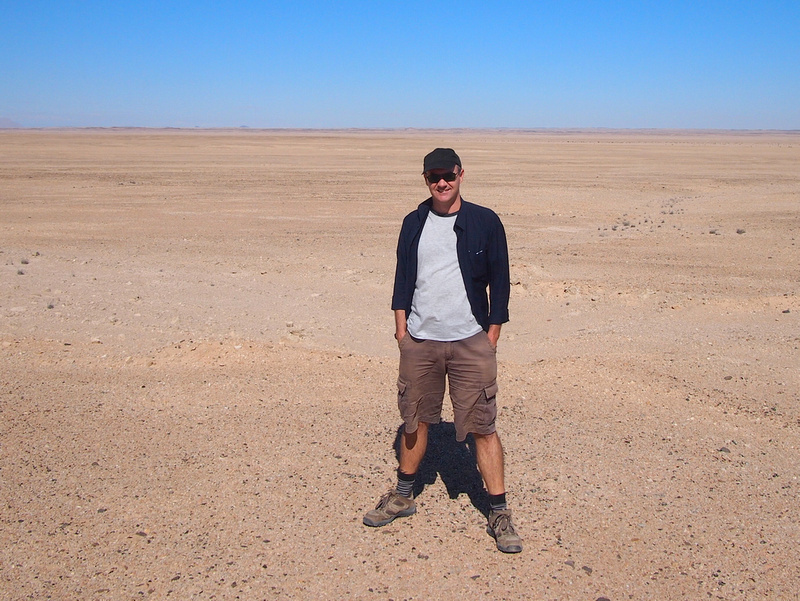 Two months before the movie was released I was invited to visit the Mad Max filming locations on behalf of the Namibia Tourism Board. As a Mad Max fan this was a dream invitation. This was also my first time to Namibia, which was a bonus. My first impression of Namibia when driving from the airport at Windhoek was that it felt a bit like Australia. Both Australia and Namibia are two of the least densely populated countries in the world (Australia ranks at 3.1 people per Sq KM and Namibia at 2.56). 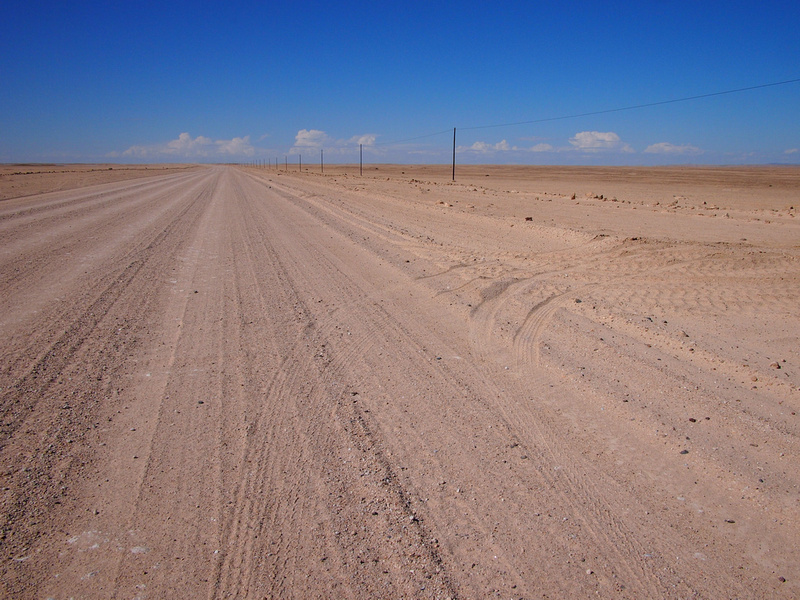 And Namibia – also like Australia – is mostly arid. It is relatively green and hilly around Windhoek (the inland capital of Namibia) but it soon flattens out into arid desert when you drive towards the coast. 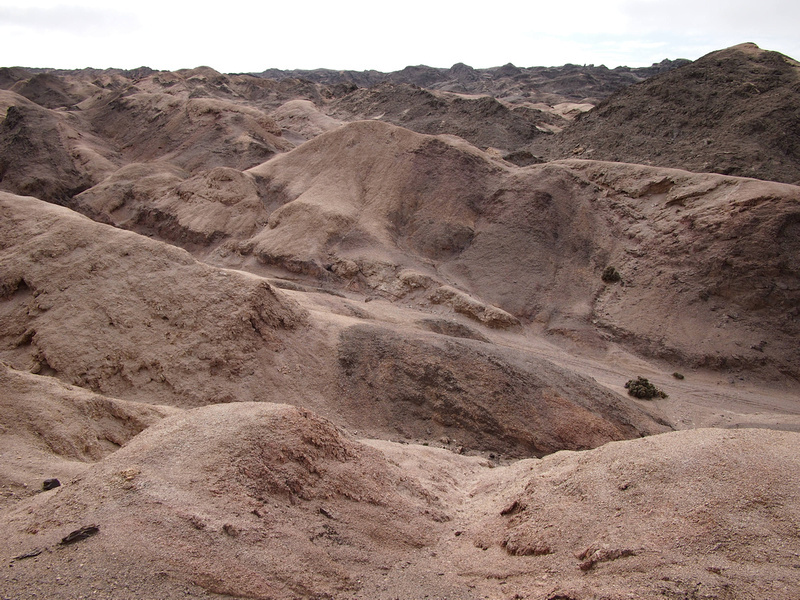 From Windhoek we drove to the coastal city of Swakopmund, which is near where most of the filming took place. We visited the locations before the film was released so we didn’t have any context to the locations. Not that it mattered. The scenery is stunning and I loved every moment of driving through the desert. 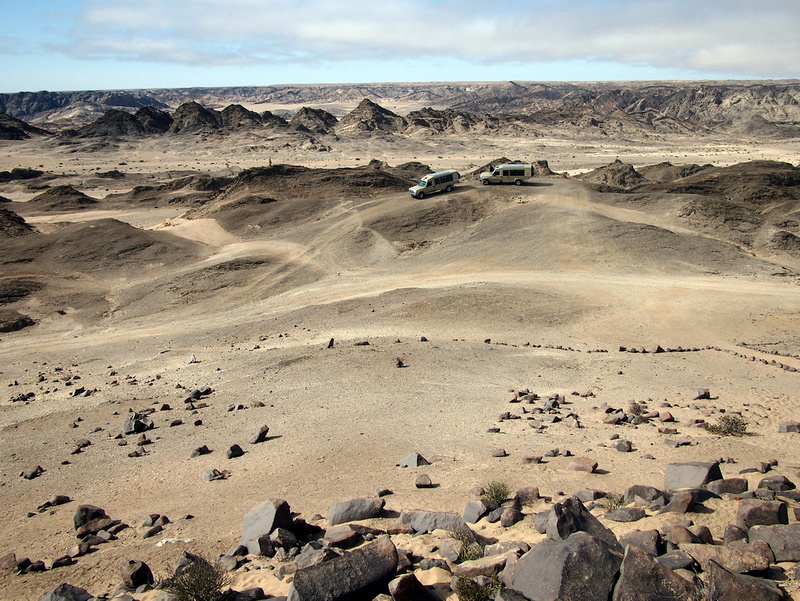 One of our guides is based in Swakopmund and visited the movie sets while it was in production. He described some of the scenes involving stunt bikes jumping over trucks, controlled explosions, and all the crazy cars that were made especially for the film. Further away from Swakopmund on the road to Brandberg Mountain, we stopped for another photo opportunity on a dusty desert road. There was a chase scene on the desert flats out here. Sure, it’s not much to look at in a picture, but to stand in a flat and treeless desert and hear the silence is a surreal experience when you spend most of the year immersed in busy city life. This scenery is very similar to the desert environment I grew up in in Australia. 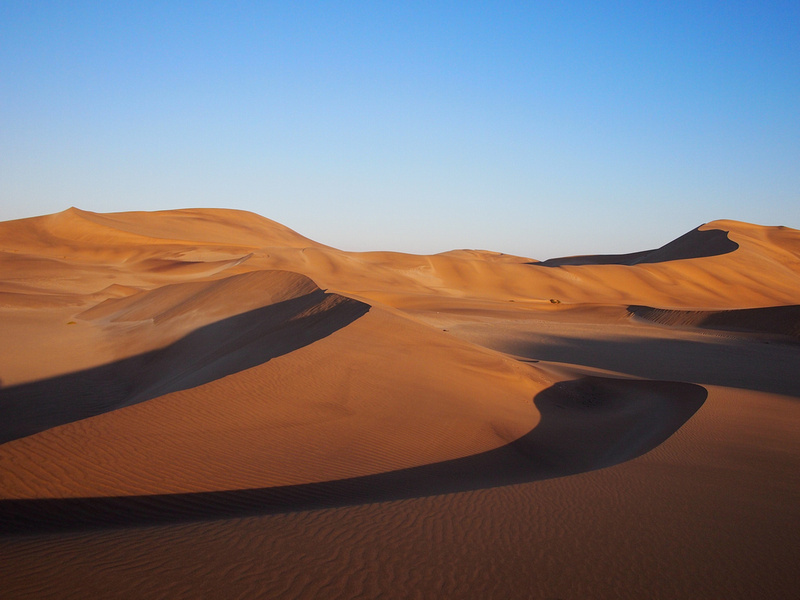 Perhaps the most visually stunning location are the sand dunes that are located a short drive from Swakopmund. There are scenes in the movie that are shot during the day and at night, but the best time to go is an hour before sunset when the sands start glowing red and shadows form behind the sandy peaks. I would rate these sand dunes up there with Wadi Rum as one of my favourite desert experiences. There are no buildings or any man-made landmarks related to the movie to visit (like Hobbiton in New Zealand, for example) though I did recognise the landscapes in the film. An idea for Swakopmund would be to request to have a few of the 150 vehicles that were specially made for the movie on permanent display in the city. It would make for a good focal point for tours and a nice homage to a movie that contributed to the local economy while the production crew was based here. A short distance outside of Swakopmund there is a museum dedicated to an abandoned steam engine. I use the word museum loosely as it’s a glass box that encases the locomotive on the side of the road. Surely a museum of Mad Max cars would be a far greater attraction. 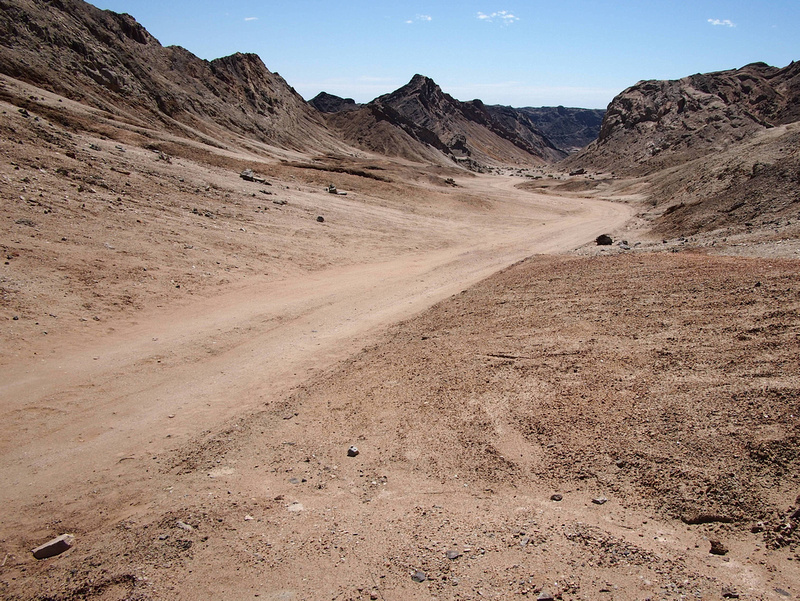 I would presume tour companies will start offering Mad Max related tours, where you can visit some of the locations of the film around Swakopmund. Even if you haven’t seen the movie (which none of us on the trip had at that point) or you don’t care for the movie, visiting the Namib Desert is an incredible experience. 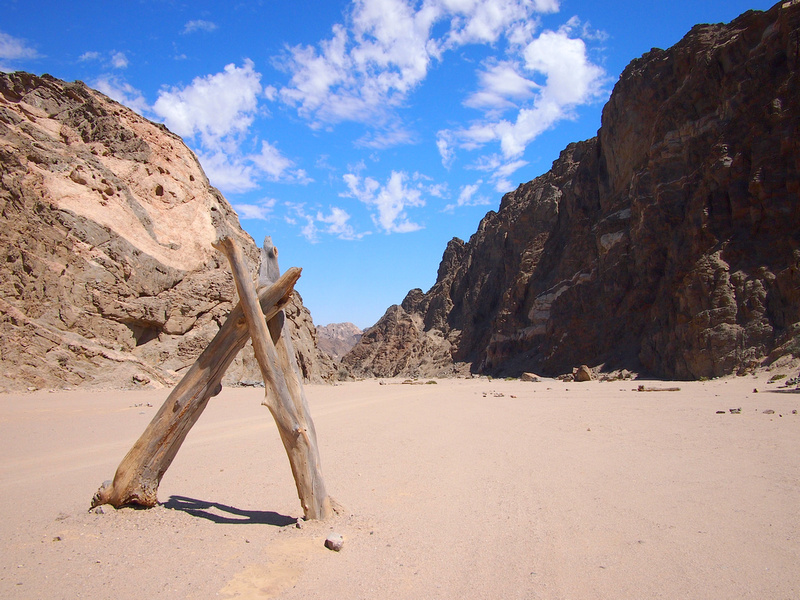 I will be writing more about Namibia in future posts. Swakopmund is served by Walvis Bay Airport, which is 47KM south of Swakopmund. Air Namibia fly from Windhoek and to Cape Town and Johannesburg-OR Tambo in South Africa. South African Express offer flights from Cape Town and Johannesburg-OR Tambo. Search for flights to Walvis Bay on Skyscanner. I visited Namibia as a guest of the Namibia Tourism Board. That film looks crazy good … can’t wait to spend a summer afternoon munching popcorn while watching this action flick! Wicked desert shots!! We just spent the weekend in the sticks of Nevada and Southern California and were getting revved up by the Mad Max vibe. But this is something else! Desert looks unreal on the photos. Great travel and adventure destination! James, I saw the first three movies. Now I am ready for the next three! Brian. Wow, wow, WOW. I grew up on the Mad Max movies and now gathering a group of peeps to watch the new movie here as time permits for varying schedules. ARGH. I might just need to go watch solo instead of waiting on everyone. I’m happy to have seen your amazing photos and read your tour account which will only lend itself as an adjunct to my movie viewing experience. Did I say WOW already!! I freaking loved this movie!